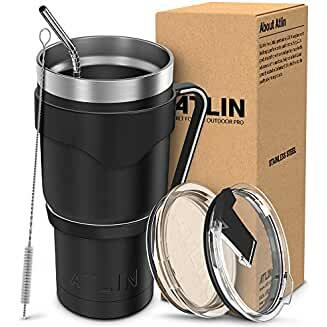 $18.74 Atlin Tumbler 30 oz. Double Wall Stainless Steel Vacuum Insulation Travel Mug - dealepic . This Atlin Tumbler 30 oz. Double Wall Stainless Steel Vacuum Insulation Travel Mug features 7 5/8″ high and carries up to 30oz of liquid.